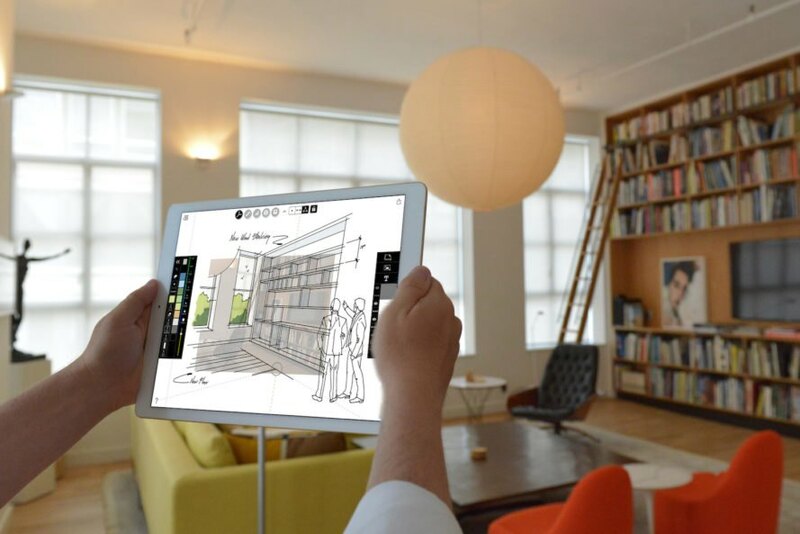 Move over expensive trace paper—Morpholio just launched a new augmented reality feature to its flagship Trace app that makes it easier than ever to turn your iPad into a digital drafting board. Released after the launch of Apple’s iOS 11, the updated Trace app now offers a “Perspective Finder” tool that superimposes scaled grids on any image to let anyone draw a perspective drawing like a pro. The “AR Perspective Finder” was revealed alongside “AR Color Capture”, an augmented reality real-life color sampler, for the Board app. 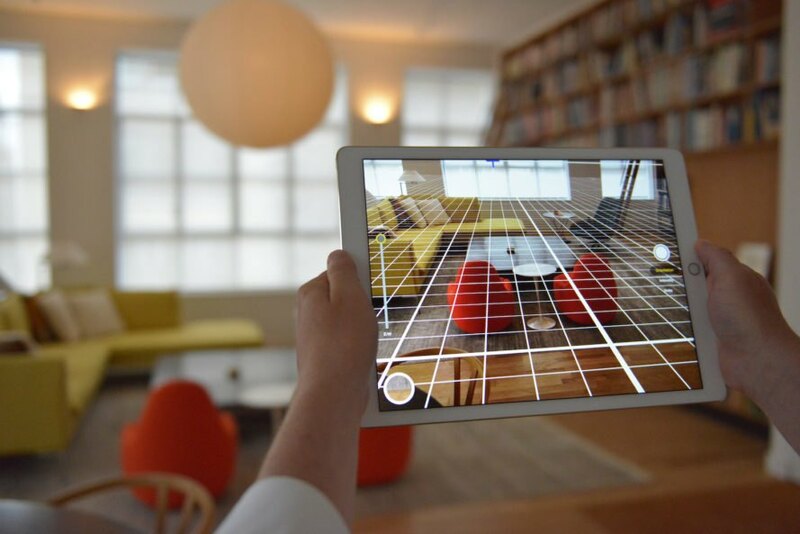 Using AR Perspective Finder is easy: once the iPad’s camera is launched in Trace, the new feature automatically overlays a perspective grid that the user can rotate to his or her liking. The grid modules can be scaled to different sizes and then locked in location to a vanishing point so that the user can rotate or move the iPad without losing the grid’s placement. Once an image has been captured, AR Perspective Finder lets you fade the photograph to make sketches more legible. Paired with an Apple Pencil, the app lets user draw crisp, clean, and accurate lines of different lengths and colors. 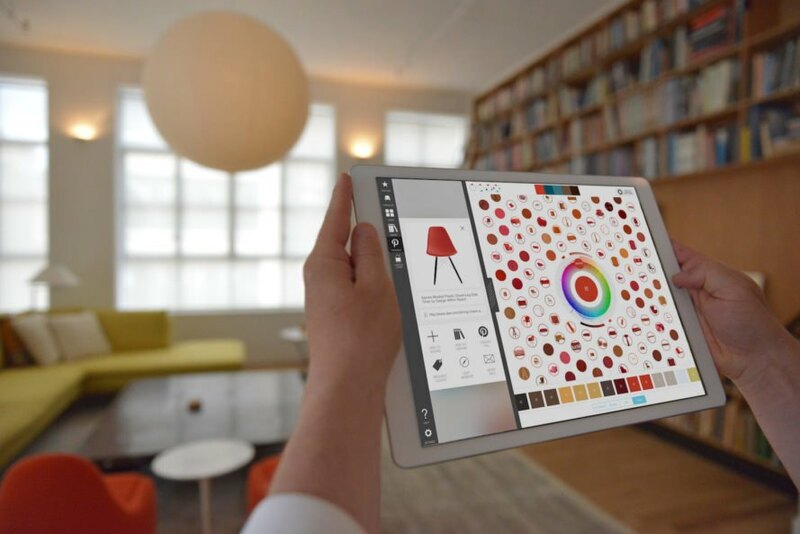 In addition to the Perspective Finder, Morpholio launched AR Color Capture that works like a real-world Photoshop color sampler aimed at interior designers. It comes with Color Seed, a color-themed search feature that pulls up a catalogue of furnishings that match the sampled color. The two recently released features were made possible with ARKit, iOS 11’s new framework that lets developers create augmented reality experiences for the iPhone and iPad. 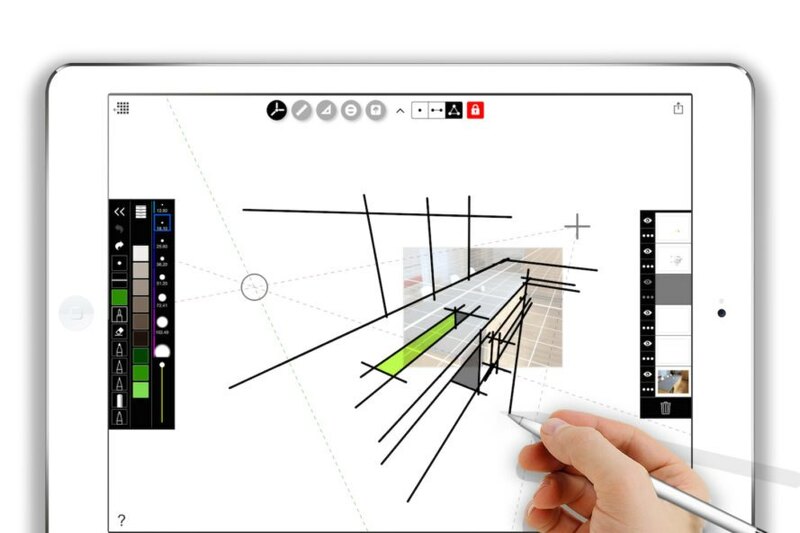 Developed for architects and designers, Trace is a drawing app that merges analog and digital by making it easy to accurately sketch and notate on a tablet. “Drawing is experiencing a renaissance with iPad Pro and Apple Pencil," says Anna Kenoff, Morpholio Co Founder. "Our app puts scale drawing at the center of the experience, letting designers work intuitively with an iPad Pro and their hands while not losing any accuracy in the process." 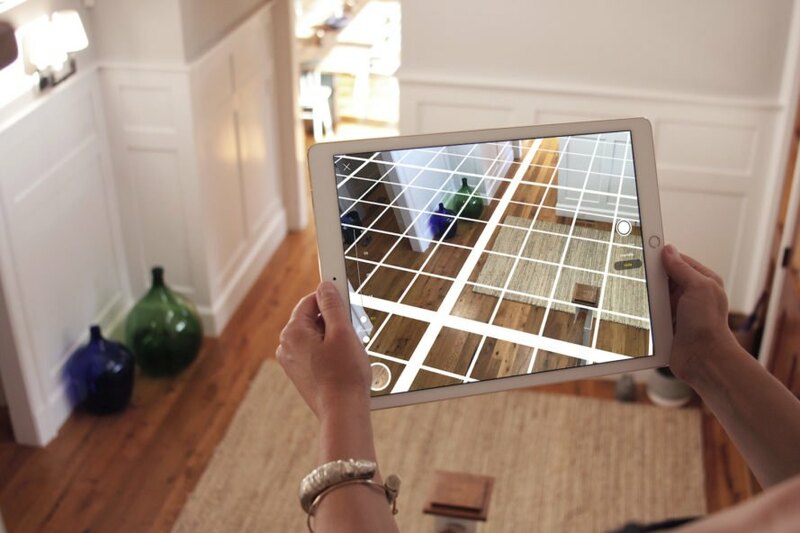 Using AR Perspective Finder is easy: once the iPad’s camera is launched in Trace, the new feature automatically overlays a perspective grid that the user can rotate to his or her liking. The grid modules can be scaled to different sizes and then locked in location to a vanishing point so that the user can rotate or move the iPad without losing the grid’s placement. Once an image has been captured, AR Perspective Finder lets you fade the photograph to make sketches more legible. Paired with an Apple Pencil, the app lets user draw crisp, clean, and accurate lines of different lengths and colors. In addition to the Perspective Finder, Morpholio launched AR Color Capture that works like a real-world Photoshop color sampler aimed at interior designers. It comes with Color Seed, a color-themed search feature that pulls up a catalogue of furnishings that match the sampled color.